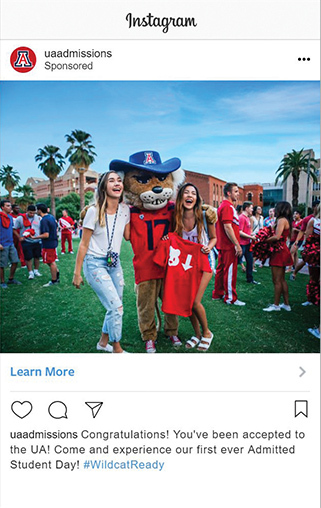 The University of Arizona wanted a strategy to nurture prospects from application to admission, and ultimately to graduation. 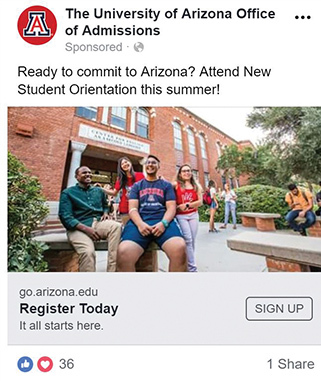 That meant two things: getting admitted students to enroll at U of A, and leveraging orientation sessions to remove obstacles and clear the path to a degree. 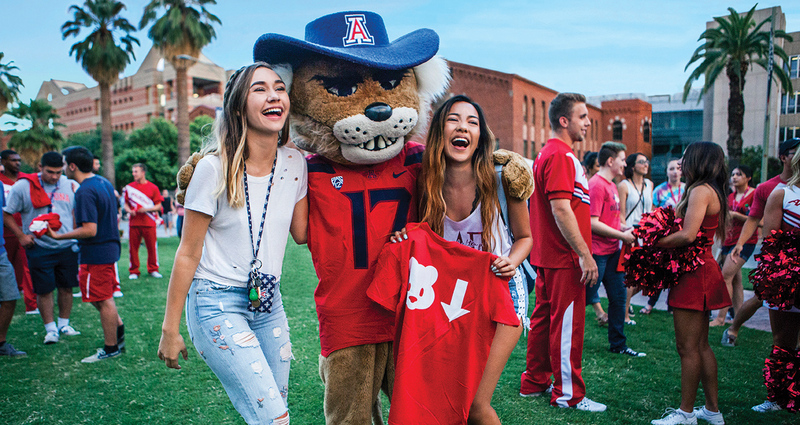 We managed two separate campaigns, kicking off a new on-campus event called Admitted Students Day, and executing a social strategy to drive students to orientation. 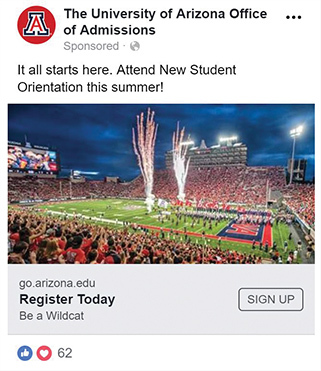 Created social ads targeting students early – as they are considering U of A. These ads were tested, monitored, and optimized throughout the six-week campaign, so that prospects received the most effective imagery and messaging. Directed students to a landing page, with customized messaging and student video testimonials, encouraging them to take the next step. Through Google Analytics, engagement was tracked for specific events, clicks, page scrolling, and even video interaction. Communicated highly customized, segmented, messaging to students and parents.